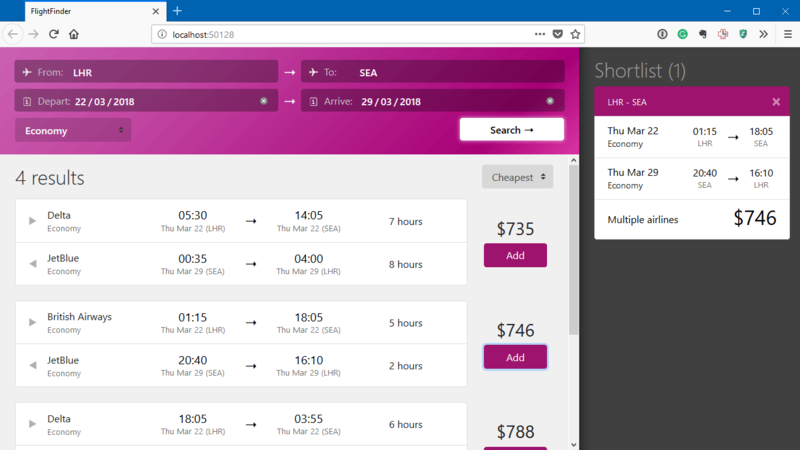 Update 23 March 2018: A few hours after I released this blog post, Microsoft released the official Blazor Preview. 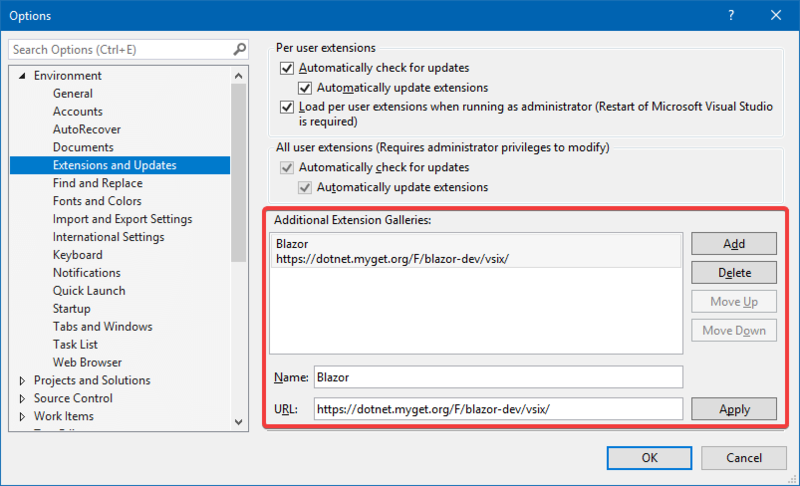 This means that configuring the extension and package sources to use the Blazor MyGet Gallery as I describe in this blog post, is not necessary. 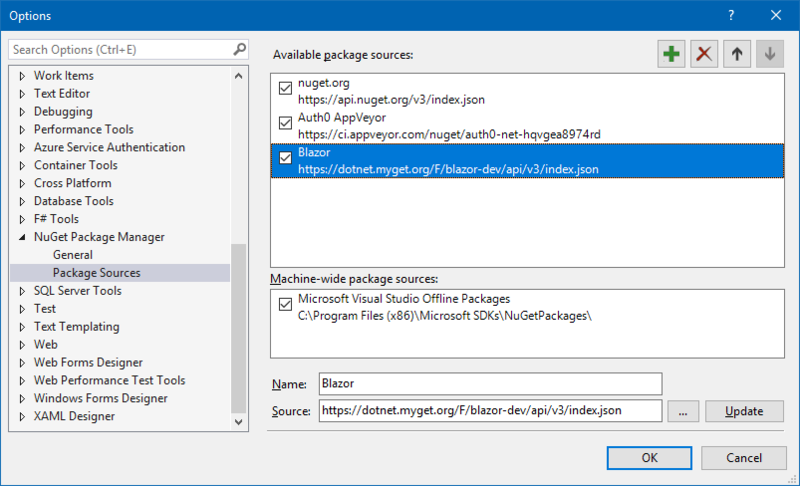 If, however, you want to work with the nightly builds, then you can still use the Blazor MyGet feed. 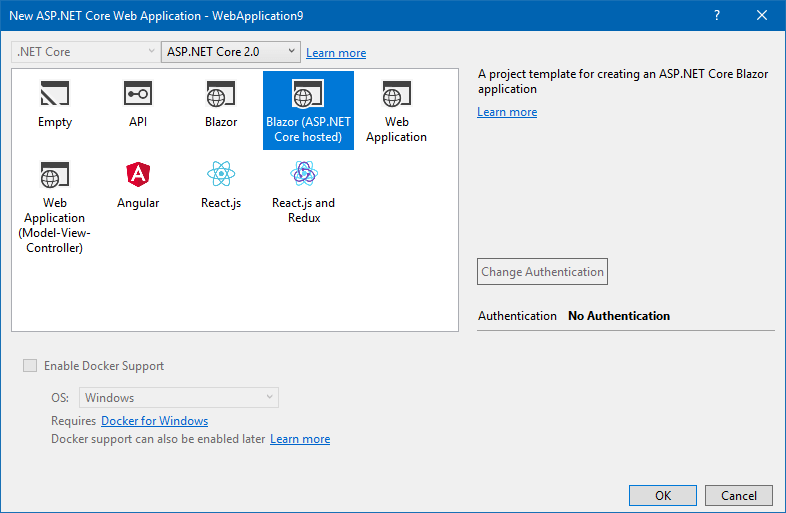 Blazor is an experimental .NET web framework using C#/Razor and HTML that runs in the browser with WebAssembly. 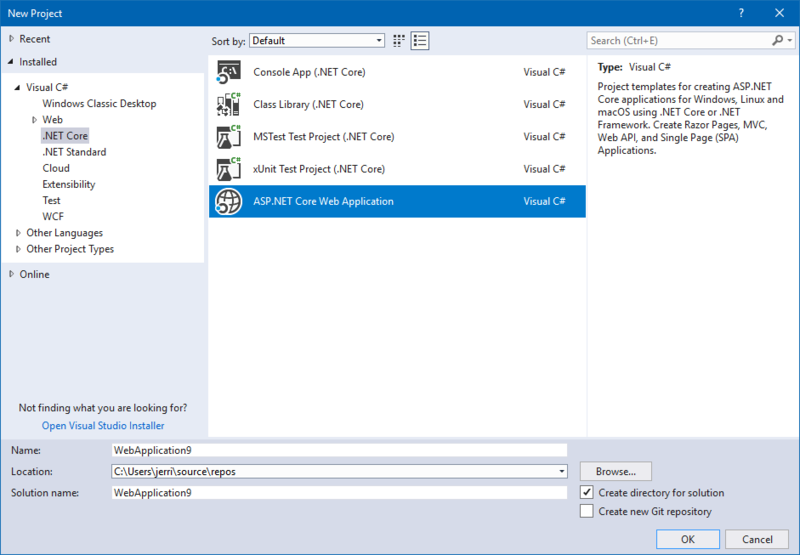 This is still in a very early stage of development, and if it the ASP.NET Core betas are anything to go by, we are in for a bumpy ride. I wanted to start playing around with Blazor, so I headed over to the Blazor GitHub repo for more information. There does not seem to be any clear indication of how to get it installed and get a new project going. 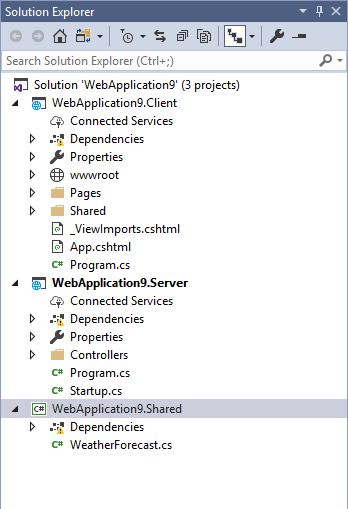 From initial indications, it appears as though you need to clone the repo build everything locally and then install the Visual Studio extension from the compiled sources. I did this, and it got things working, but then discovered a much simpler way by just installing everything from the Blazor MyGet Gallery. 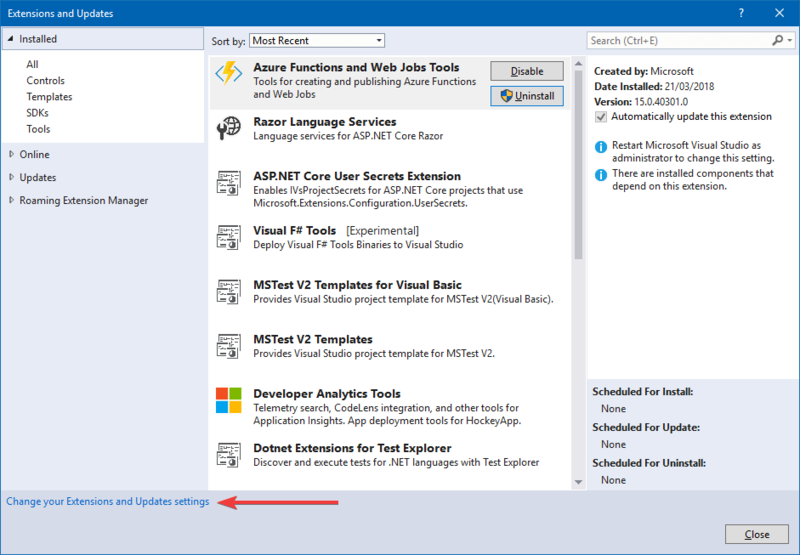 Before you even get started, ensure that you have installed the Visual Studio 2017 15.7 Preview. Go to the Blazor MyGet Gallery and click on the Connect to feed button. Select the VSIX feed and copy the Vsix feed URL. In Visual Studio 2017 Preview, go to Tools > Extensions and Updates and click on the Change your Extensions and Updates settings link. Under the Additional Extension Galleries section, click the Add button. Give it a Name of Blazor, and specify the VSIX feed URL you copied before as the URL. Once you are done, you can click Apply and then OK. Select the Tools > Extensions and Updates menu again. 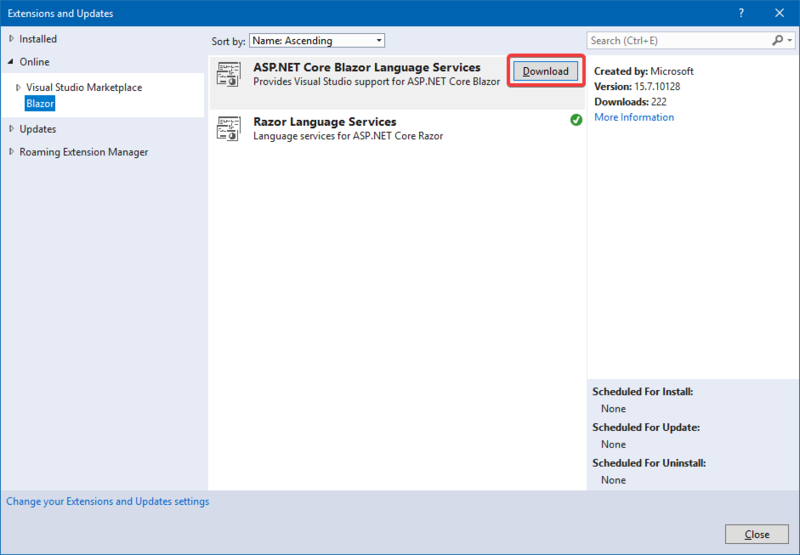 Go to Online > Blazor and click the Download button next to ASP.NET Core Blazor Language Services extension. Once the download is done, you will need to close Visual Studio 2017 Preview for the installation to complete. Afterwards, you can open Visual Studio 2017 Preview again. 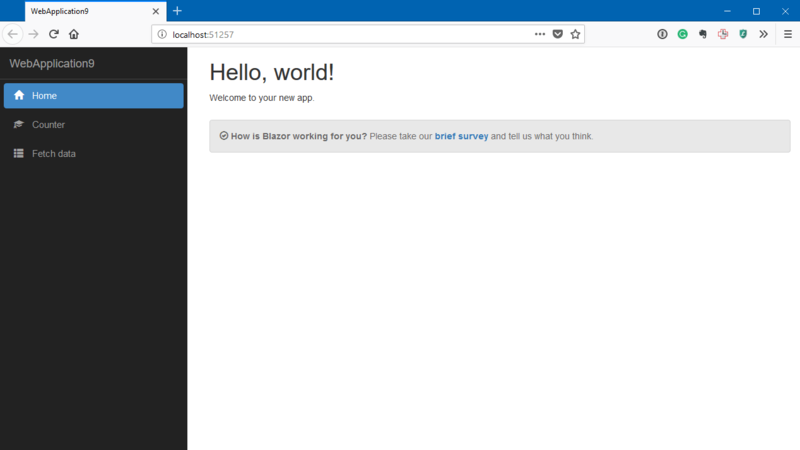 Feel free to play around with the app to get a feel for a Blazor application. The application created by the project template is the standard one I am sure many of you have seen before if you have explored any of the Blazor blog posts or demos. However, it came to my attention that there is something a little more substantial hiding the in https://github.com/aspnet/samples repository. This app is a much better representation of some of the (early) capabilities of Blazor. I am very excited to start playing with this, so keep an eye out for more Blazor blog posts coming up. If you want to learn more, check out the Issues on the Blazor repo. Rainer Stropek has also created a website called Learn Blazor. Finally, the official MS docs for Blazor is in the works and should appear at some point in the ASP.NET Core docs under the Client-side development section.